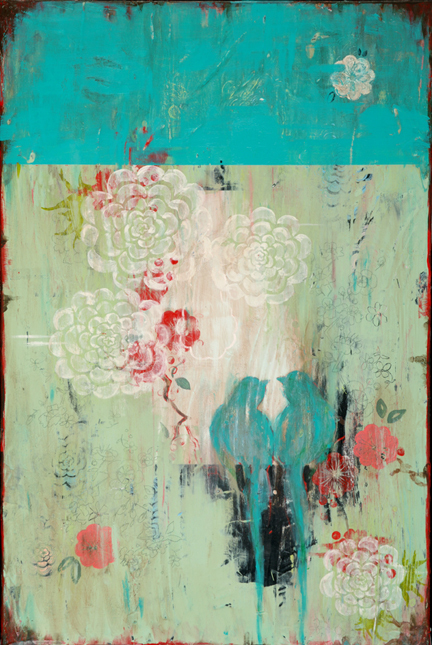 I just love the gorgeous Modern Chinoiserie style paintings of artist Kathe Fraga who lives in Washington, USA. Kathe looks to the beauty of the past and of time-worn beauty, she is inspired by grand old Parisian mansions, frescoes and vintage kimonos for example, and the colours and images of nature. Kathe's paintings often have a global feel, most likely influenced by Kathe having lived in South America, France, England and Denmark. You can see more of her paintings here or read her blog here. Thank you so much for featuring my paintings on your beautiful blog! Very honored and really appreciate it! Thank you so much Kathe, I am incredibly honoured you took the time to comment and flattered by your compliment!